You are less likely to be put in a struggle for survival when you are well-prepared and well-stocked with gear and supplies. So it’s a good idea to learn some hacks in the event that end up in a situation in which you don’t have the tools and gear that you would like to have. If you are in the woods looking for firewood, it’s unlikely that you are going to find a lot of 18-inch logs just right for burning. If you find a standing dead tree, that’s great for fire, but it will still be, well, a tree. To get it down without an axe, first, rock it back and forth. This may be difficult to do when you apply pressure from the bottom where you can reach, so to increase your leverage use another already fallen tree or limb, and use it to reach higher up into the tree and push. Once you get the tree to fall, take it to where two other trees are growing close together. Slide the top two feet (roughly) of the fellen tree in between them, and, holding the base, walk around the base of the tree to try to break it. You should be able to piece it up at least somewhat this way. If you need to know which direction to head in and you have no compass, then you need to find a stick about 12 to 18 inches long. 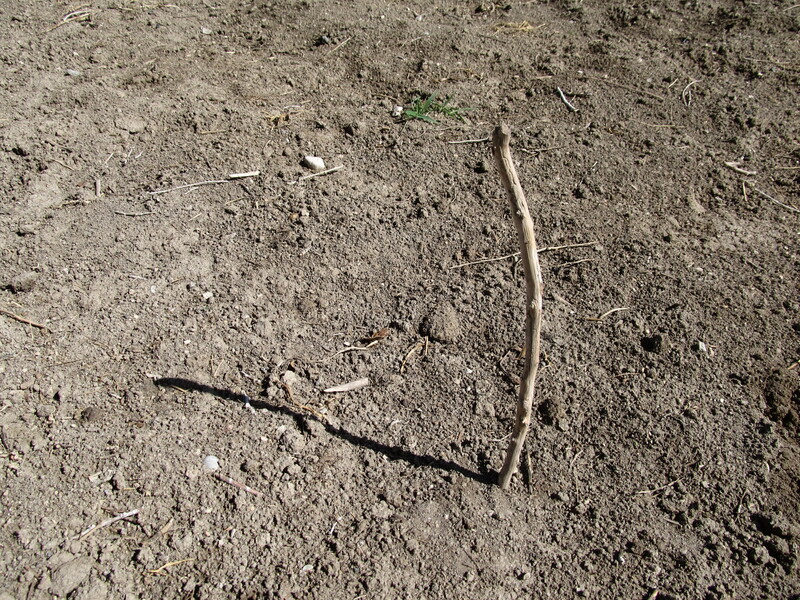 Shove this stick into the ground deep enough for it to stand on its own, then adjust the angle of the stick until its shadow disappears, then wait about an hour. At this point, the stick should be casting a linear shadow. The linear shadow that this stick has produced will be along the east/west line, so the north/south line will be perpendicular to that line, and in the Northern Hemisphere, North will be away from the shadow. You won’t always have what you want on you, and gear breaks, so have the knowledge and skills necessary to survive without the tools that you would normally rely on.